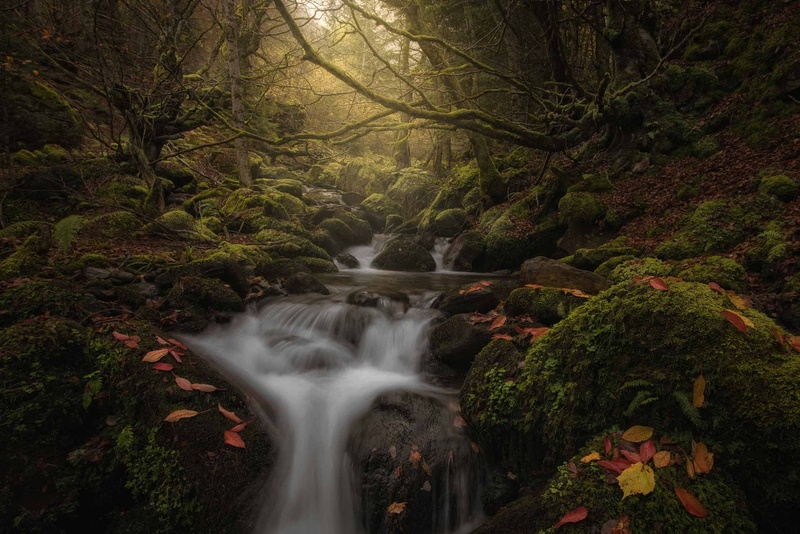 While scouting new locations in an old forest between the border of France and Spain, came across with this scene which automatically caught my eye; A stream wrapped in an incredible atmosphere and surrounded by two ancient beech trees, which were standing as the guardians of this old lost forest. Your picture brings back so many memories when I was able to walk the woods of PA. I loved to follow the streams. Excellent photo. Thanks for the memories. Hi! It is funny since I took this picture in my country (Spain) and recently moved out to PA. Hope to walk the woods and find some interesting places here as well! Where are you moving to in PA? I lived in Johnstown. I hope you enjoy my home state. I am based in King of Prussia...Do you know the place? Excellent picture, this is a work of art. Really nice! The red leaves really add something to an already stellar scene. Good eye, Dan! Great. Nicely processed. Love the mood.